Sign up and receive Property Email Alerts of Houses for sale in Tashie-Nungua, Accra. 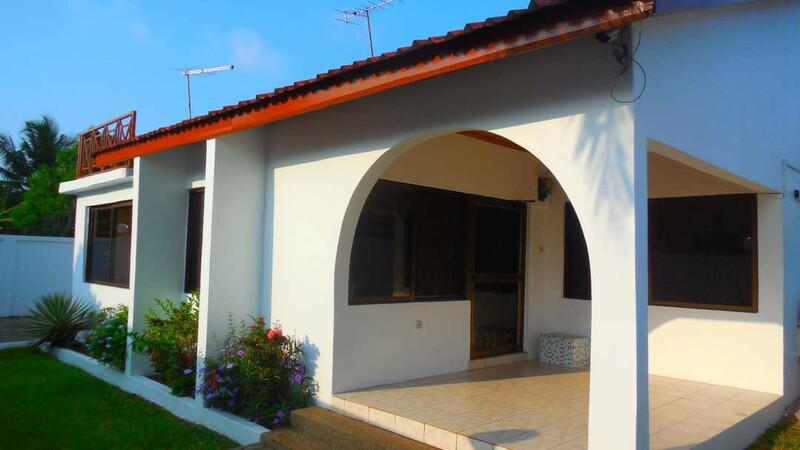 This is a property which has the unique combination of a beautiful home in a nice, quiet neighborhood. The 4 bedroom home is being sold furnished with beautiful fittings or unfurnished should the buyer choose. The well-lit home boasts of an open floor plan, well fitted kitchen, a nice dining area, rooftop terrace and 2 bed boys quarters. The exterior presents a nice garden and parking space for up to six cars. It truly is a well built home. Sign-up and receive Property Email Alerts of Houses for sale in Tashie-Nungua, Accra.